March 5 was a date that many referred to as the “expiration” date for Congress to make a decision concerning the future of those in the United States under Deferred Action for Childhood Arrivals (DACA) status. Now with the pause on a decision for DACA an East Texas family say’s it brings them a brief relief but also uncertainty. The decision can affect millions of children. Children of immigrants, including those living in Tyler. Blanca Villanueva, Josselyn Villanueva, and Jose Villanueva are all Dreamers who came to this country chasing the American Dream. In 2012 the Secretary of Homeland Security announced that certain people who came to the United States as children and meet several guidelines may request consideration of deferred action for a period of two years, subject to renewal. They are also eligible for work authorization. Deferred action is a use of prosecutorial discretion to defer removal action against an individual for a certain period of time. Deferred action does not provide lawful status. Blanca Villanueva came to the United States from Tijuana, Baja California Mexico, when she was 10 years old. She entered the country with a tourist visa. Once her family settled in the States, Blanca attended public school and graduated from John Tyler High School. When she finally was approved for DACA, she was to enroll in college. Although she had to pay out of packet because she could not apply for financial aid, she was grateful to be able to further her education. After all the debate whether DACA should be ended, Villanueva has fears that by the time she finishes school, having her degree will be of no use but she remains positive and hopeful. Blanca’s younger sister Josselyn Villanueva is also struggling to further her education. Unlike Blanca Josselyn had no idea she was even being brought to a completely new country. She was only 3 years old when her family migrated to the United States. Jose Villanueva, 22, also came at a very young age with no other choice but to follow his family. 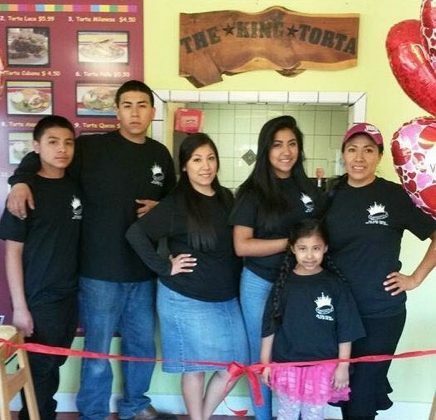 DACA has been very helpful for Jose, with it he has been able to open a very successful restaurant in Tyler. This family of Dreamers remains hopeful that a solution will be made that can help them continue to live their American dream. Immigration and documentation is a huge controversial topic. I am glad that this program has opened up doors for you in furthering your education, stay positive!